So, for the next few days I will be posting some articles about the Guadalcanal campaign, a pivotal series of battles in the Second World War where the United States and its allies took the offensive against Imperial Japan. This article deals with the first naval engagement of that campaign which was the worst and most lopsided defeat ever suffered by the U.S. Navy in history. I am posting these articles because they are forgotten by so many. 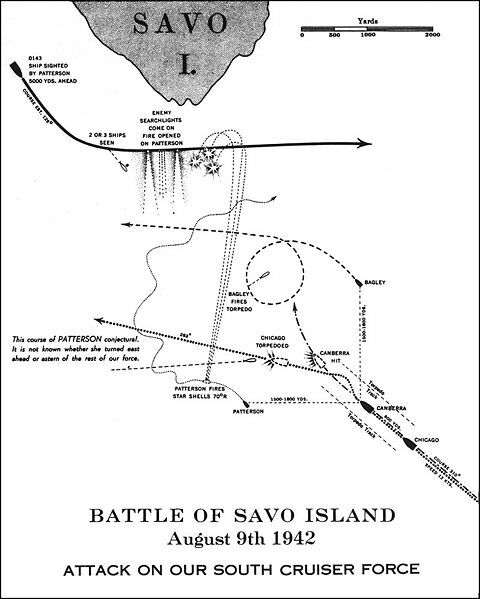 Tomorrow I will begin posting articles on the Guadalcanal Campaign, but the story of “Bloody Savo” is here. Have a good night. On August 8th 1942 the U.S. Task Force supporting the invasion of Guadalcanal was tired. The crews of the ships had been in continuous combat operations conducting naval gunfire support missions, fending off numerous Japanese air attacks and guarding against submarine attacks for two days. The force commanded by Admiral Richmond K. Turner was still unloading materials, equipment and supplies needed by the men of the 1st Marine Division who they had put ashore on the morning of the seventh. On the afternoon of the eighth Turner was informed by Admiral Frank “Jack” Fletcher that he was pulling his carrier task force out of action. Fletcher alleged that he did not have enough fighter aircraft (79 remaining of an original 98) and as low on fuel. The carriers had only been in action 36 hours and Fletcher’s reasons for withdraw were flimsy. Fletcher pulled out and left Turner and his subordinate commanders the responsibility of remaining in the area without air support with the transports still full of badly needed supplies and equipment. As the American drama played out, the Japanese moved forces into position to strike the Americans. 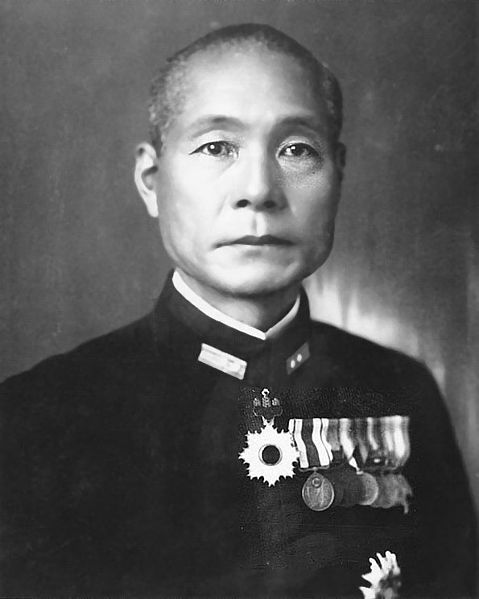 Admiral Gunichi Mikawa commander of the 8th Fleet and Outer South Seas Force based at Rabaul New Britain quickly assembled a force of 6 heavy cruisers, the 14,000 ton Atago Class Chokai, and the four smaller ships of the Kako Class, the Aoba, Kako, Kinugasa and Furutaka, the light cruisers Yubari and Tenryu and the destroyer Yunagi. Mikawa raised his flag aboard Chokai and the force sped down “the slot” which ran the length of the of the Solomon’s chain mid day on the seventh. The Americans had warning of their coming. The first sighting was by B-17s before the Japanese forces had reached Rabaul. The second was the elderly U.S. Navy submarine S-38 at 2000 on the 7th when they were 550 miles away not far from Rabaul. This report was discounted because it would not be unusual to find a number of fleet units steaming near a major naval base and fleet headquarters. The last which should have alerted the allies was a sighting by a Royal Australian Air Force patrol aircraft on the morning of the 8th. However the pilot did not report the sighting until he returned from his mission returned to his base and had his tea. The eight hour delay in reporting the information as well as errors in it which reported 2 submarine tenders as part of the force lulled the Allied forces into believing that the Japanese were setting up a seaplane base and posed no threat to the invasion forces. It was a fatal error of reporting and judgment by the pilot. In the absence of good information Turner deployed his support ships to cover the three entrances into what soon would be known as Iron Bottom Sound. He placed the Anti Aircraft Cruiser USS San Juan and Australian Light Cruiser HMAS Hobart to the east with two destroyers under the command of Rear Admiral Norman Scott. To protect the south west entrance into the sound south of Savo Island Turner placed the Heavy Cruisers USS Chicago, HMAS Australia and HMAS Canberra and two destroyers under the command of Rear Admiral R.A.C. Crutchley RN who in theory commanded the screening force. 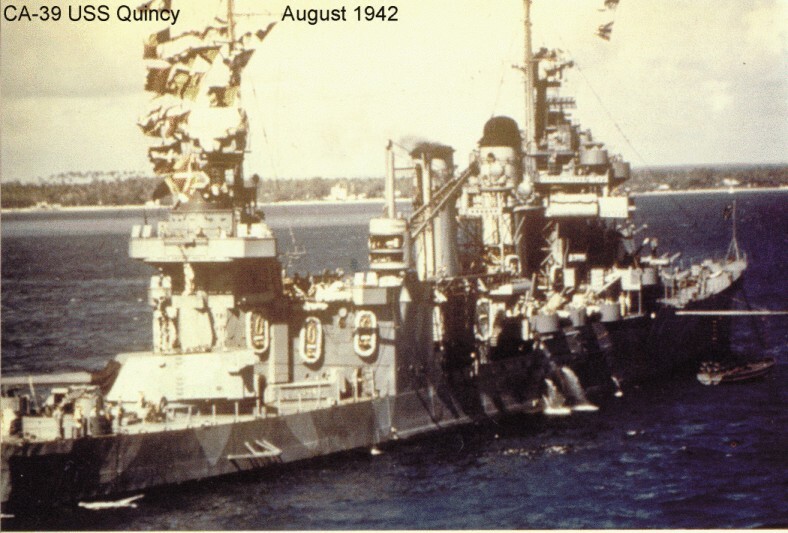 To the north of Savo he deployed the Heavy Cruisers USS Vincennes, USS Astoria and USS Quincy and two destroyers under the tactical direction of Captain Frederick Riefkohl aboard Vincennes. To the west of Savo he placed two destroyers to act as picket ships. Unfortunately these ships radar sets were insufficient and would fail to pick up the approaching enemy. During the early evening Turner recalled Crutchley to his flagship for consultations of what to do regarding Fletcher’s retreat. Crutchley came over in his flagship the Australia denuding the southern force of its commander as well as one of its three heavy cruisers. He left the commanding officer of Chicago Captain Howard D. Bode in tactical command but Bode did not have his ship take the lead position in the patrol assuming Crutchley would return bymidnight. Mikawa launched float planes to scout the locations of the American ships and to provide illumination once the battle began. Some of these aircraft were spotted but no alert measures were taken as many assumed the Japanese to be friendly aircraft. Many commanding officers were asleep or resting away from the bridge of their ships, lookouts were tired and not expecting the Japanese and Condition Two was set in order to provide some of the tired crews a chance to rest. Admiral Mikawa now new the Allied disposition and ordered his ships to battle stations at 0045. At 004 he sighted and passed astern of USS Blue the southern picket which also failed to detect the Japanese force. Mikawa assumed that the destroyer might have reported his presence, briefly turned north but turned back to his original course when a lookout allegedly spotted a destroyer to his northeast. 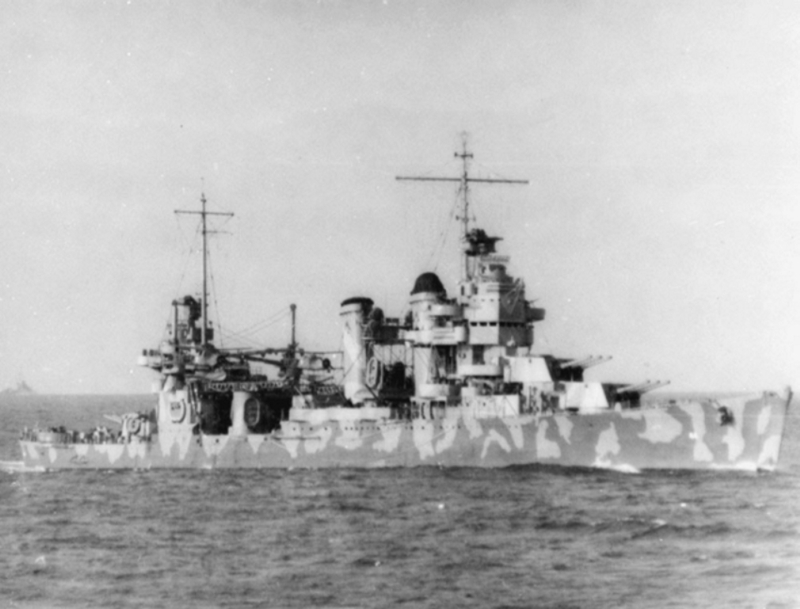 He gave the order to attack at 0132 and promptly spotted the American destroyer USS Jarvis which had been heavily damaged and without radio communications was making her way toAustralia for repair and passed her after some ships fired torpedoes and raced toward the southern force at 26 knots. With the southern force just a few miles away Mikawa ordered his ships to commence firing at 0136 and at 0138 torpedoes had been launched. Mikawa’s lookouts spotted the northern group at 0144 and changed course. The maneuver was badly executed and left the Japanese in two columns as they swiftly closed on the Americans. Mikawa’s flagship Chokai launched torpedoes at 0148 and Astoria the cruiser closest to the Japanese set general quarters at 0145 and at 0150 the Japanese illuminated her with searchlights and opened fire. Astoria under the direction of her gunnery officer returned fire at 0152 ½ just before her Captain came to the bridge unaware of the situation. He ordered a cease fire until he could ascertain who he was firing at assuming the Japanese to be friendly ships. He delayed 2 minutes and ordered fires commenced at 0154 but the delay was fatal. Astoria had opened fire on the Chokai which then had time to get the range on the American cruiser and hit her with an 8” salvo which caused fires which provided the other Japanese ships an aiming point. 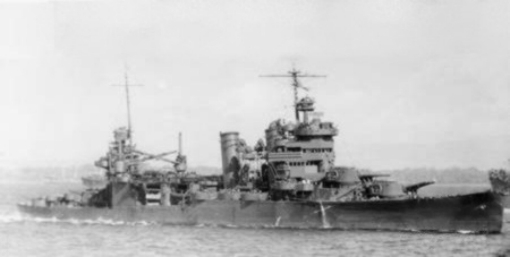 Astoria was left burning and heavily damaged barely maintaining headway but attempted to fight on scoring a hit on Chokai’s forward turret even as the Japanese opened up on the next cruiser in line the USS Quincy. Quincy caught between the two Japanese columns. Aoba illuminated her with her searchlight and Japanese forces opened fire. The gunnery officer order Quincy to return fire getting two salvos off before her skipper Captain Samuel Moore came to the bridge, briefly ordered a cease fire assuming that he was firing on Americans and turned on his running lights. Quincy was ripped by salvo after salvo which killed Captain Moore and nearly everyone in the pilothouse just as a torpedo ripped into her engineering spaces turning them into a sealed death trap forcing the engineer to shut down the engines. 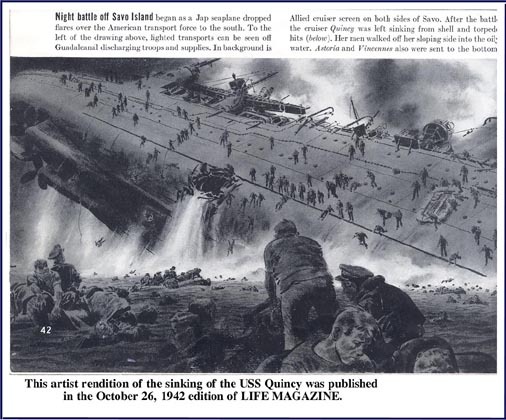 Burning like a Roman candle Quincy was doomed she was ordered abandoned and capsized and sank at 0235. However Quincy did not die in vain, at 0205 two of her 8” shells hit Chokai causing enough damage the Admiral’s chart room that Mikawa would order a withdraw at 0220 which spared the now defenseless American transports. Vincennes, the lead ship and flagship was next in the line of death. Captain Reifkohl order General Quarters sounded not long after the Japanese illuminated the southern group. 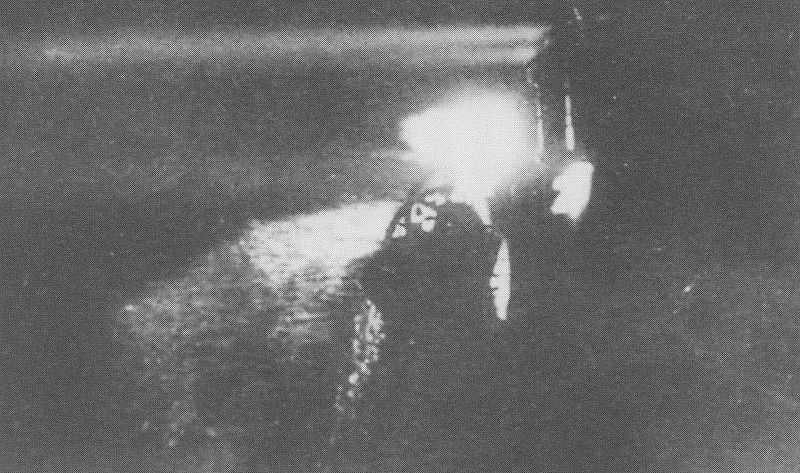 At 0150 Vincennes was lit up by the searchlights of three Japanese ships which opened fire on her. Vincennes returned fire at 0153 hitting Kinugasa before she was hit starting fires on her scout planes mounted on their catapults. The Japanese mauled Vincennes, three possibly four torpedoes ripped into her as shells put ever gun out of action. At 0215 she was left burning and sinking by the Japanese who soon withdrew from the action. Ordered abandoned she sank at 0250. Canberra struggled against the odds but was abandoned and was sent to the bottom by an American torpedo at 0800. Astoria also struggled for life but the damage was too great and she was abandoned sinking at 1215. Mikawa withdrew up the sound but on his return the Heavy Cruiser Kako 70 miles from home was sunk by torpedoes from the American submarine S-44 sinking in 5 minutes. The Americans and Australians lost 4 Heavy Cruisers sunk and one heavily damaged. Two destroyers were also damaged. Casualties were heavy; Quincy lost 389 men killed, Vincennes, 342, Astoria, 235, Canberra, 85, Ralph Talbot, 14, Patterson, 10, and Chicago, 2. It was an unmitigated disaster, an allied force destroyed in less than 30 minutes time. Boards of inquiry were held and Captain Bode hearing that he shouldered much blame killed himself in 1943. 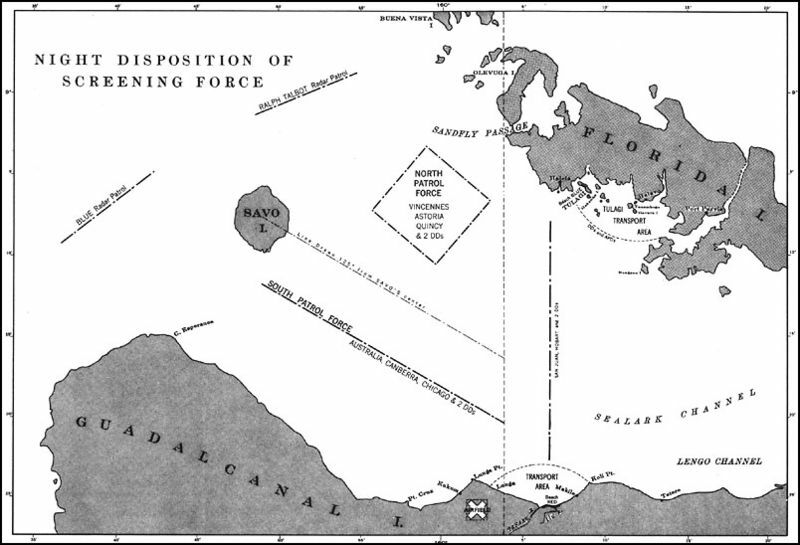 It was a rude awakening to a Navy which had believed that technical advances would give it victory and which in the words of Admiral Ernest King was not yet “sufficiently battle minded.” It was the first of many equally bloody battles in the waters around Guadalcanal which in the coming campaign became known as Ironbottom Sound. For the next few days I will be posting some articles about the Guadalcanal campaign, a pivotal series of battles in the Second World War where the United States and its allies took the offensive against Imperial Japan. This article deals with the first naval engagement of that campaign which was the worst and most lopsided defeat ever suffered by the U.S. Navy in history. I am posting these articles because they are forgotten by so many. 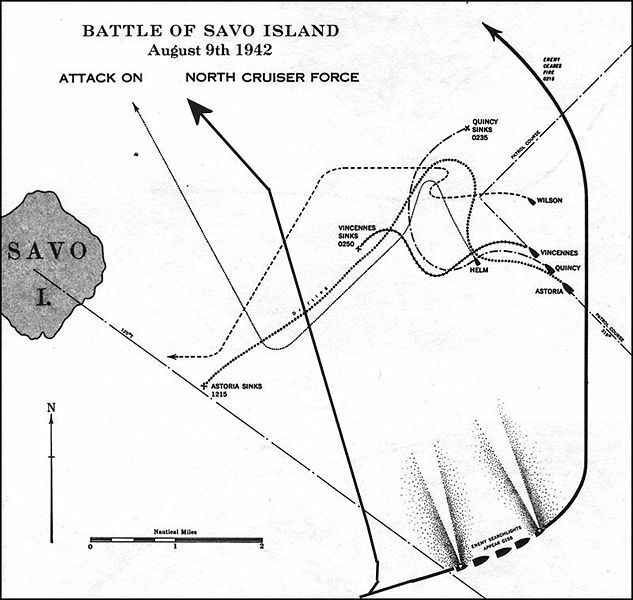 Tomorrow I will begin posting articles on the Guadalcanal Campaign, but the story of “Bloody Savo” is here. Have a good night. It was a rude awakening to a Navy which had believed that technical advances would give it victory and which in the words of Admiral Ernest King was not yet “sufficiently battle minded.” It was the first of many equally bloody battles in the waters around Guadalcanal which became known as Ironbottom Sound.. Even now the southern force was unaware of Mikawa until at 0143 the destroyer USS Patterson on the far side of the action saw Mikawa’s ships bearing down a mere 5000 yards from the force. Her commander radioed “STRANGE SHIPS ENTERING HARBOR” but the alert came too late. 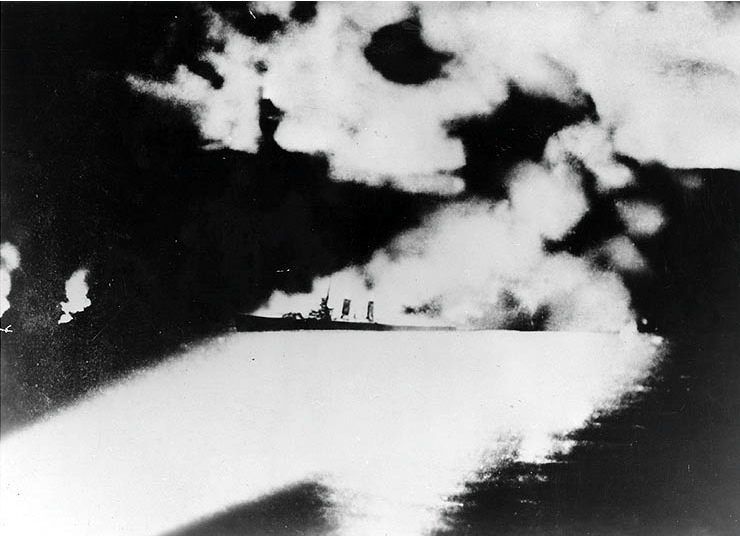 As Patterson signaled her warning Japanese float planes dropped their illumination flares silhouetting the Chicago and Canberra as the Japanese cruisers opened fire at ranges from 4500 to 9000 yards. At 0143 Canberra was struck by to torpedoes and 24 shells, mostly 8” from the cruisers. Her Captain was killed and she was mortally wounded. The Japanese brushed off the attempts of Patterson and the other southern force destroyer the USS Bagley to intervene bypassing them quickly and shifting their fire to Chicago. Chicago was stuck by a torpedo at 0147 and a single hit from a cruiser which caused little damage. Chicago briefly engaged the Yunagi at 0151 which had been sent back to cover the Japanese as they moved north. With his ship crippled Captain Bode failed to warn the northern force of the Japanese attack. Vincennes the lead ship and flagship was next in the line of death. Captain Reifkohl order General Quarters sounded not long after the Japanese illuminated the southern group. 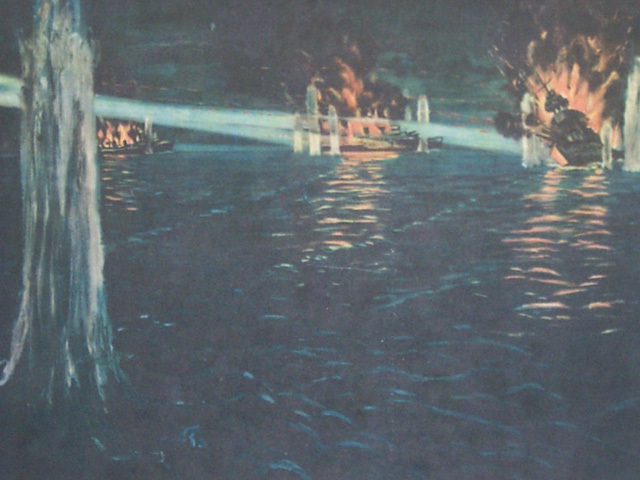 At 0150 Vincennes was lit up by the searchlights of three Japanese ships which opened fire on her. Vincennes returned fire at 0153 hitting Kinugasa before she was hit starting fires on her scout planes mounted on their catapults. The Japanese mauled Vincennes, three possibly four torpedoes ripped into her as shells put ever gun out of action. At 0215 she was left burning and sinking by the Japanese who soon withdrew from the action. Ordered abandoned she sank at 0250. 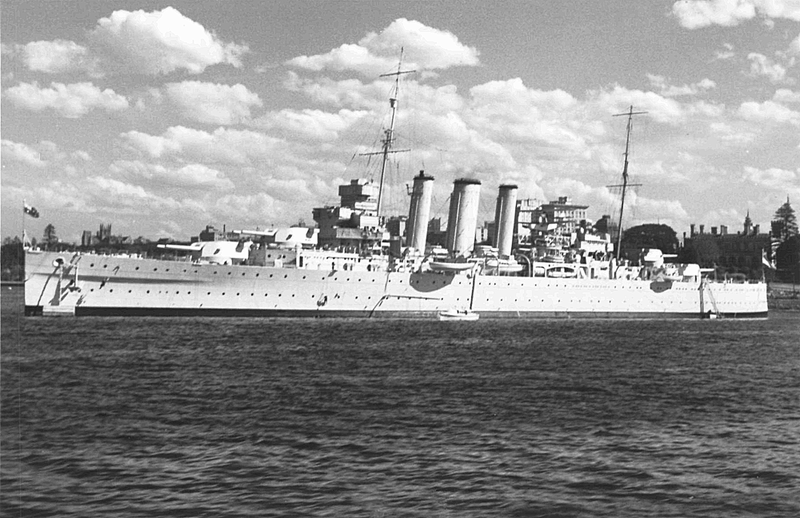 The Americans and Australians lost 4 Heavy Cruisers sunk and one heavily damaged as well as two destroyers damaged. Killed on the various ships Quincy-389, Vincennes-342, Astoria–235, Canberra-85, Ralph Talbot-14, Patterson-10, and Chicago-2. It was a rude awakening to a Navy which had believed that technical advances would give it victory and which was not yet in the words of Admiral King “sufficiently battle minded.” It was the first of many equally bloody battles in the waters aroundGuadalcanal.